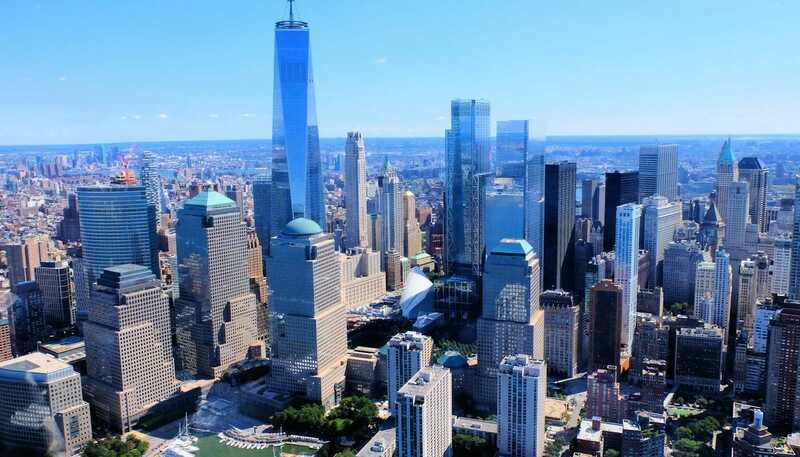 Lower Manhattan and the Financial District in New York are the heart of the city, when it comes to finance and law. 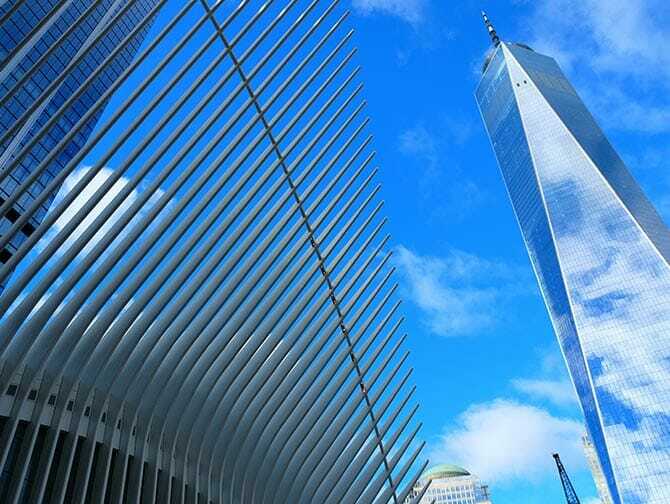 The World Trade Center’s iconic Twin Towers used to be the focal point of Manhattan’s skyline. After the terrorist attacks on September 11th 2001, the 9/11 Memorial is one of the biggest draws to this part of the city (if not the whole city) Lower Manhattan is, as the name suggests, located at the most Southern part of the island. You’ll find it in between Chamber Street, the Hudson River the East River and Battery Park/New York Harbour. The Financial District consists of many offices and headquarters of New York’s most important financial companies. Is this corporate environment interesting to you, as a tourist? Well, I wouldn’t recommend spending the night here, because it tends to loose some life after office hours. But for a day? Definitely! 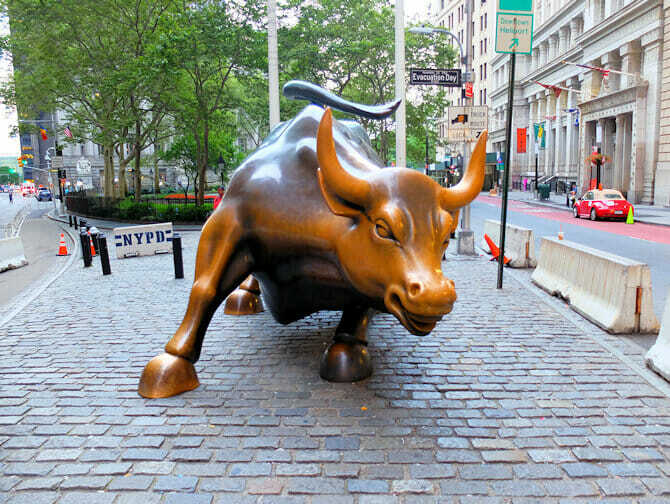 There’s a lot to see: The 9/11 Memorial, of course, and how about iconic Wall Street? Instead of taking on this urban jungle adventure all by yourself, you can opt for a guided tour. The guide will tell you all about 9/11, both from a factual as well as from a personal perspective. Wall Street symbolises the American financial industry, it even has its own movie! I can’t guarantee you any Leonardo DiCaprio encounters, but Wall Street is definitely worth a visit. 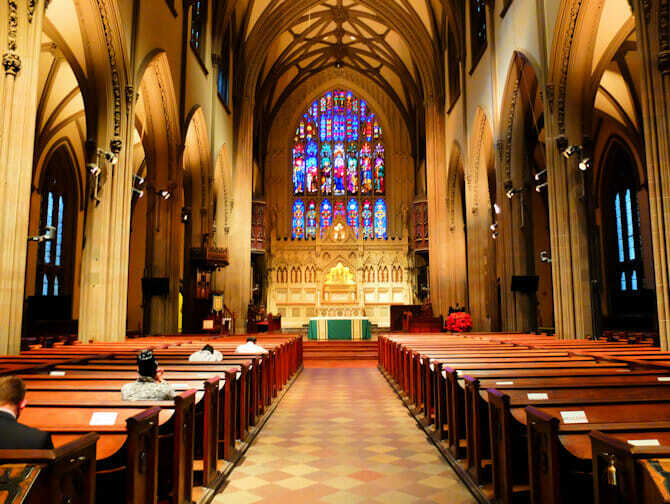 Amongst the multiple skyscrapers, you’ll find the world-famous stock exchange, Trinity Church; which back in the 20th century, dominated the skyline with her height of 282 feet and Federal Hall, where back in 1789 George Washington was inaugurated as the United States’ first ever president. 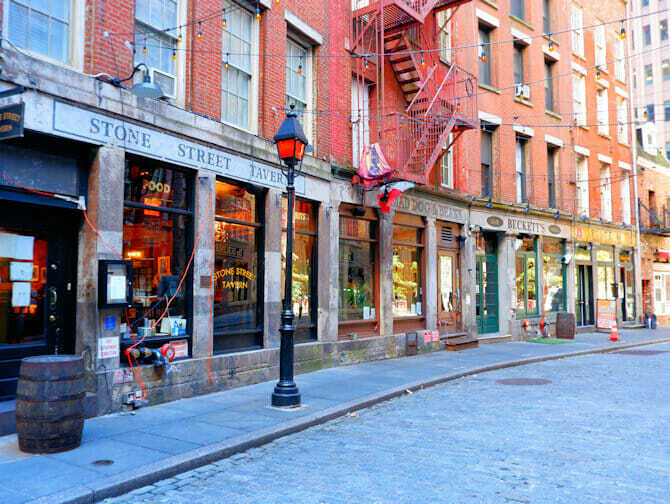 Once you’ve had your fill of all things ‘business’, get some respite right behind Wall Street, at Stone Street. An authentic little street that managed to escape the rigorous renovations that hit the area during the end of the previous century. In the summer you can relax on one of the terraces that fill the street, enjoy a gourmet pizza at Adrienne’s Pizza Bar or an all-you-can-eat buffet at Ulysses. Lower Manhattan has much more to offer than finance! Like the waterfront, Battery Park, for example. Or the much smaller and historical Bowling Green. It isn’t much more than a big fountain with a couple of benches, but it is New York’s oldest park. 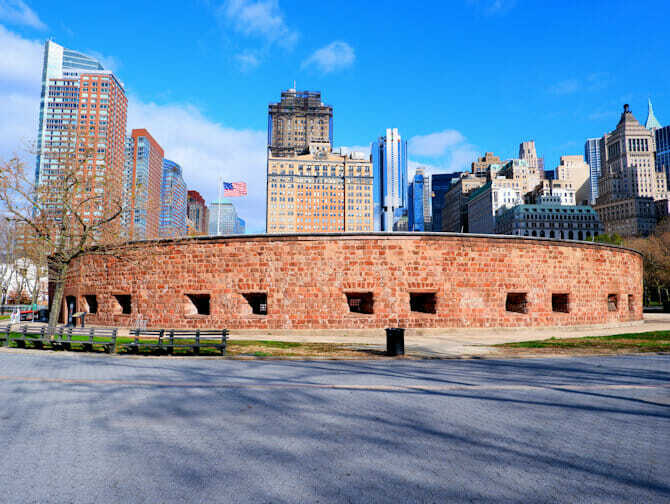 Next to this park, you’ll find the Alexander Hamilton U.S. Custom House, which is also worth a visit. The New York department of the National Museum of the American Indian is located inside this building. Lower Manhattan also houses the entrance to the Statue of Liberty and Ellis Island. If you are in this part of town, make sure you don’t miss the opportunity to catch a boat for a beautiful tour of these world-famous hotspots. 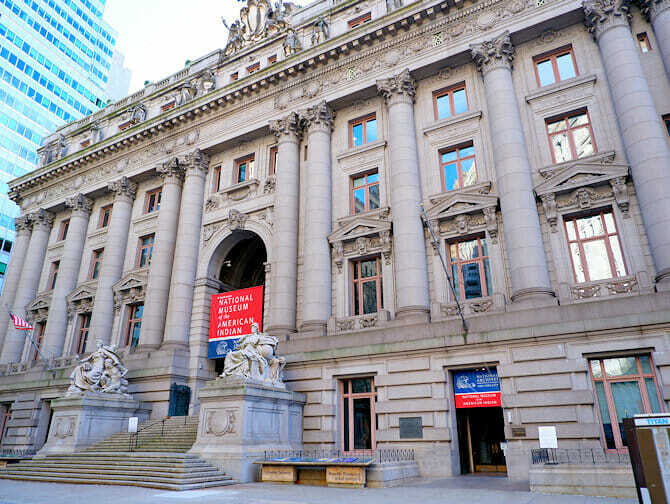 Eric’s Tip: Will you be visiting Financial District in the warmer months? Bring a sweater or coat! The massive buildings will have you walking in the shade most of the day. Even in winter, you should count on a colder temperature than elsewhere in town. The wind will ruthlessly blow through the so-called ‘canyons’, which can result in an extra chill.